I have been in a long process of recipe testing for various recipe books and one of the recipes I had on my list to test had peri peri sauce in the ingredients list. We have one teeny, tiny small bottle of peri peri sauce in our fridge, and it is so hot, all you need is a few drops. The recipe called for half a cup of sauce and I knew I would have to make one from scratch. 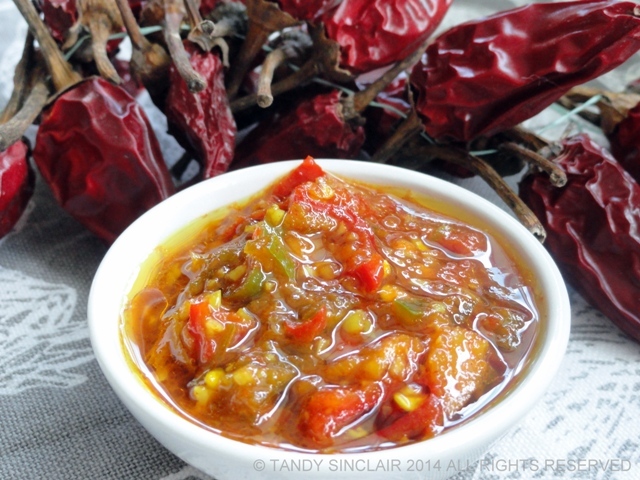 Before I could make a peri peri sauce I created a chilli sauce recipe. All I did was then temper the heat with some tomato purée. 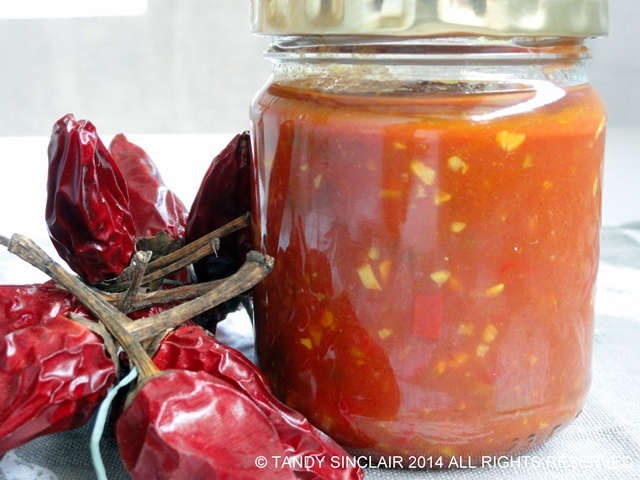 The nice thing with doing it this way is that you can create a sauce as sweet and as mild as you would like it to be. And if you really want to tone it down a lot, you can use tomato ketchup instead of purée. I heard of this sauce before, but never imagine that was that simple…thanks for the recipe Tandy. Never heard of peri peri sauce before, very interesting. Love the 2 ingredient aspect of this! I’ve been hearing a lot about peri peri sauce but have never had it before. I’ll have to give your recipe a try. It is something new for me, I hope to try it soon. My partner will love this one. Thanks for sharing, very nice site! Such a pretty sauce, you could gift them too. Thanks for sharing your recipe Tandy. I will be following it to make some chilli sauce for my family. Please let me know how it turns out for you Matthew!